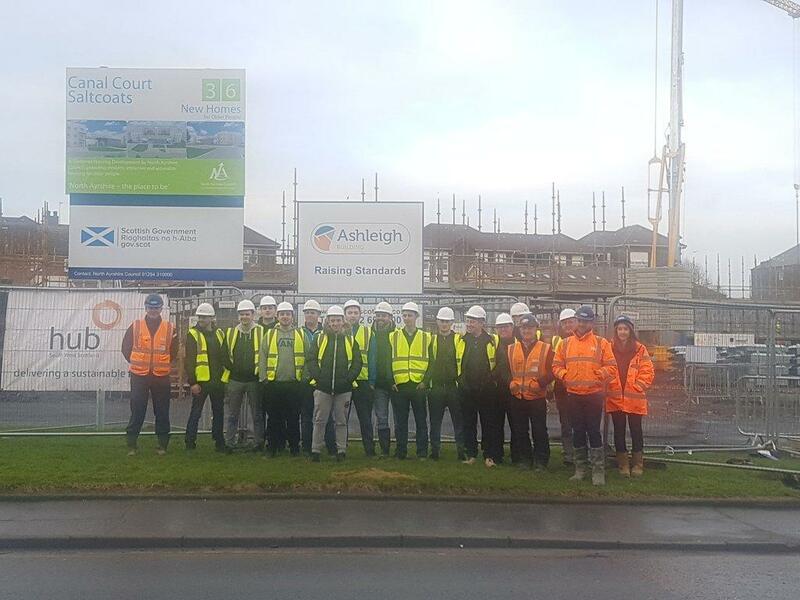 Ayrshire College Construction Management Students out on site this afternoon at our Sheltered Housing Development in Saltcoats. The students got to see the early stages of the metsec frame going up at our new development for Hub South West and North Ayrshire Council. We look forward to having them back for another visit in the New Year.